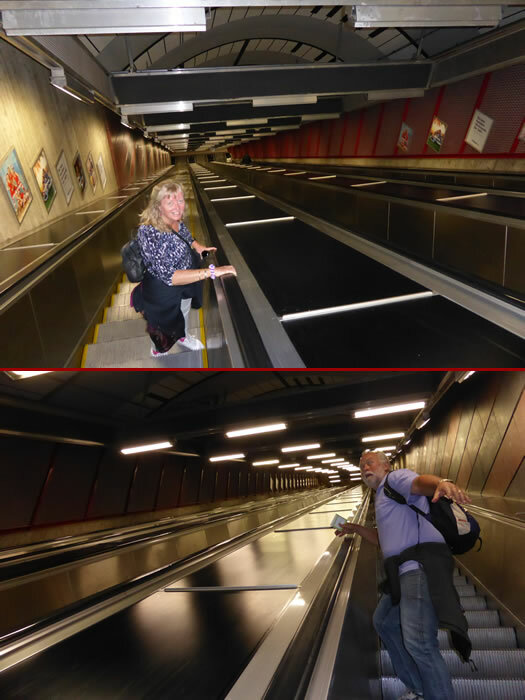 You wouldn't want to be afraid of heights to ride the escalators at this Stockholm subway station! In our next Album 65 we go on a walking tour of Stockholm. It is built on 14 islands, has more than 50 bridges, as well as the medieval old town, Gamla Stan. We are looking forward to our visit to Sweden's capital.